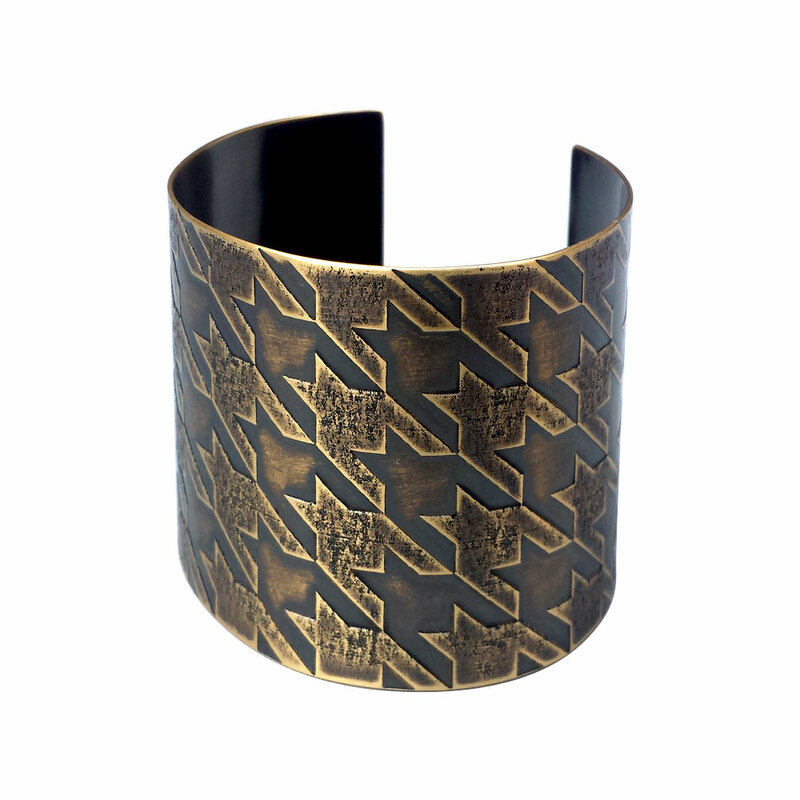 A modern spin on the traditional houndstooth pattern. 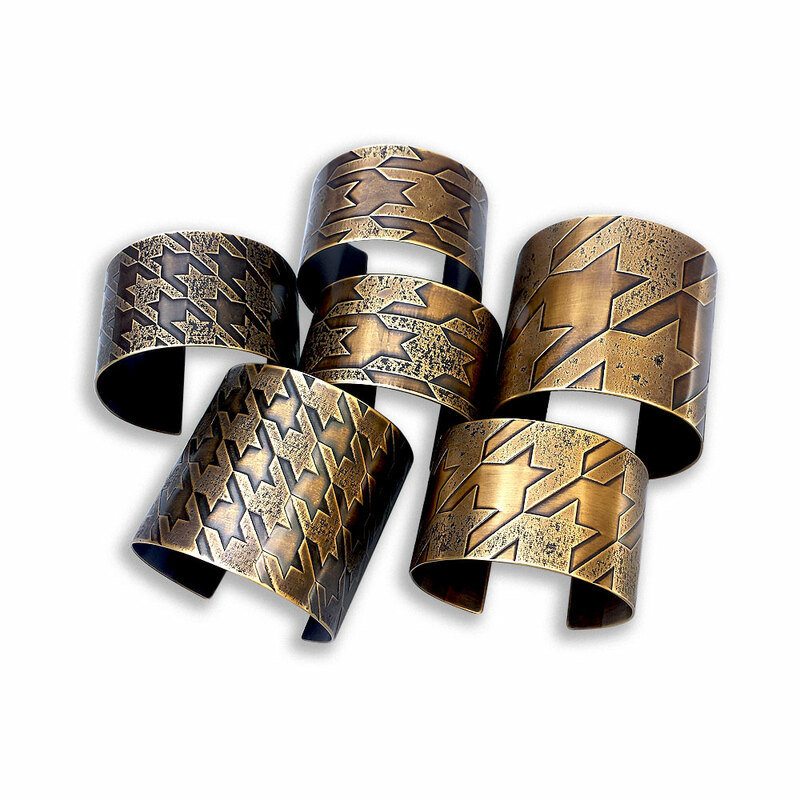 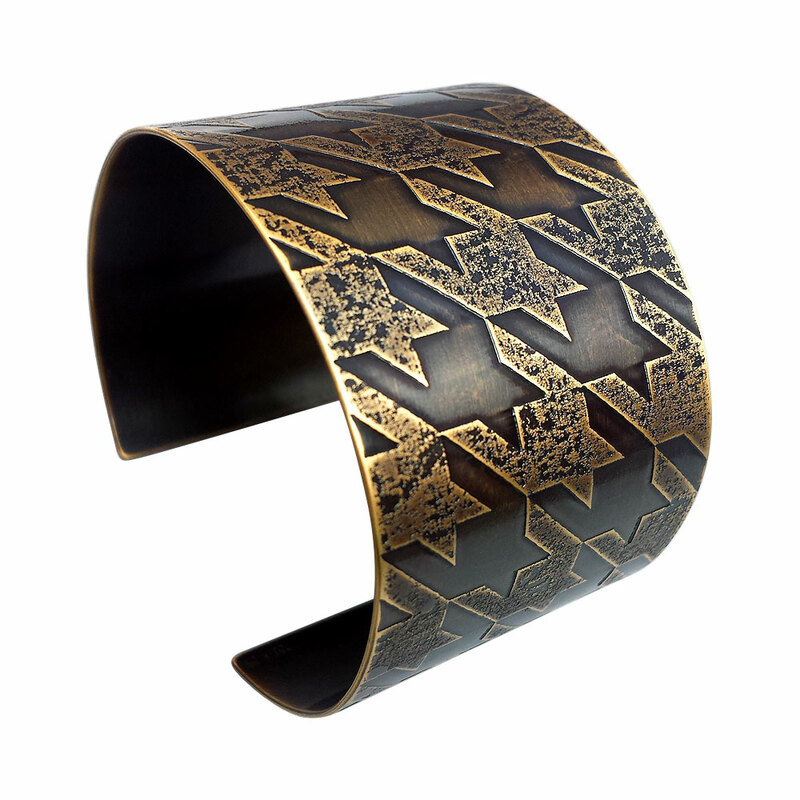 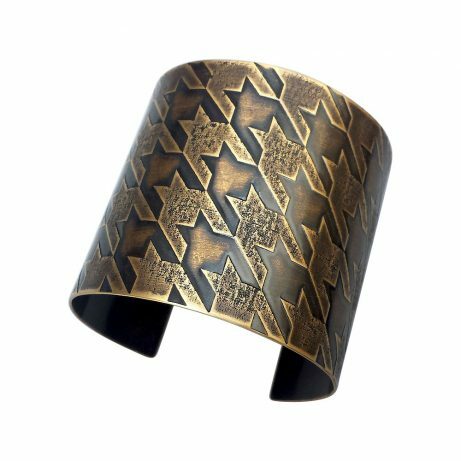 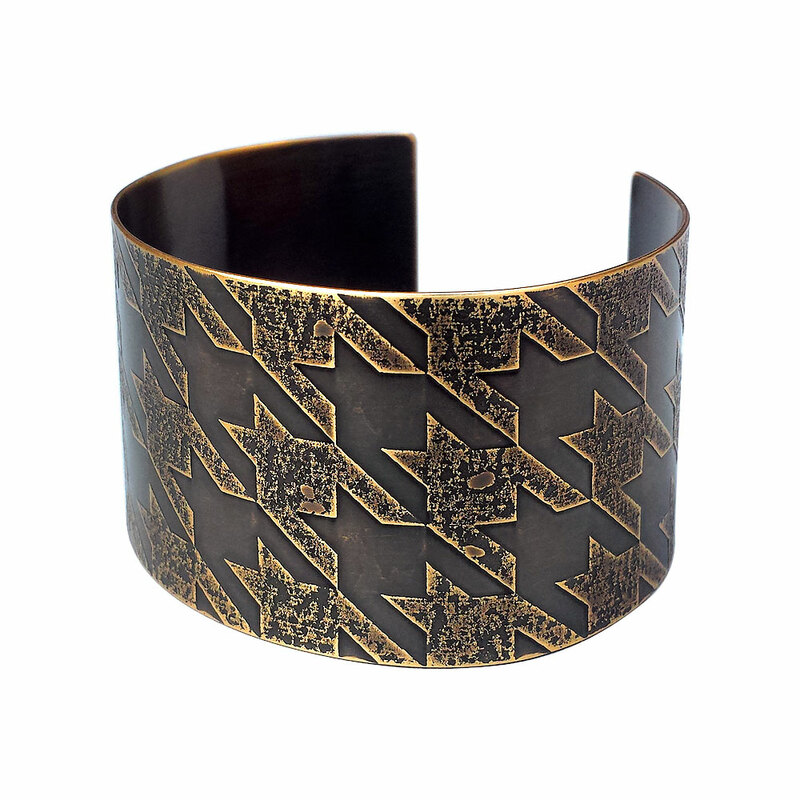 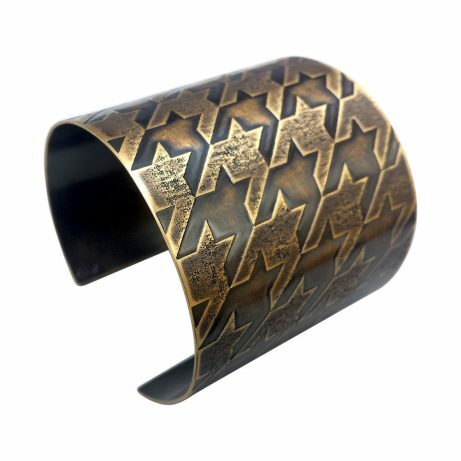 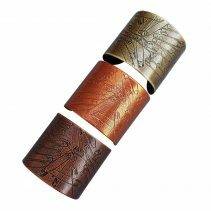 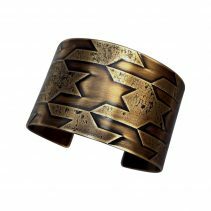 Additional texturing gives these etched brass cuffs the look and feel of futuristic artifacts. 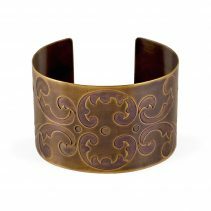 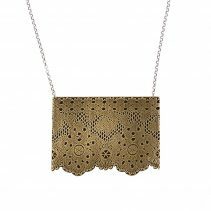 In stock in Antique Brass Finish. 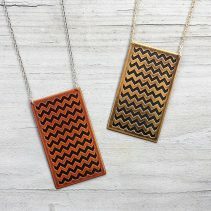 Custom finishes available, contact us for details. 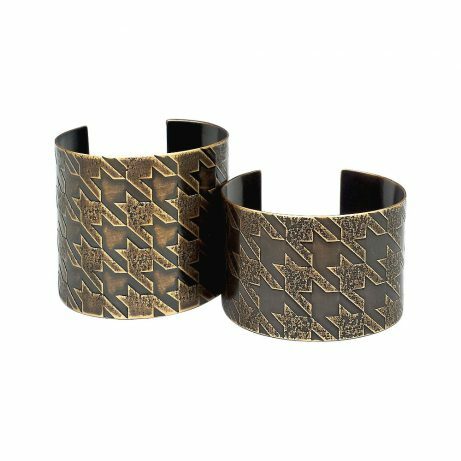 Narrow cuff is 1 9⁄16” W; Wide cuff is 2 3⁄16” W. Both measure approximately 7″ in circumference (women’s medium/men's small) and can be adjusted slightly for a tighter or looser fit. 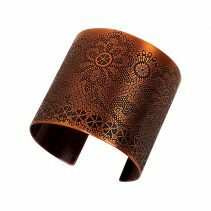 Custom cuff sizes available – please contact me for details. All cuffs lacquered to resist tarnishing. Unlacquered pieces available as a special order. 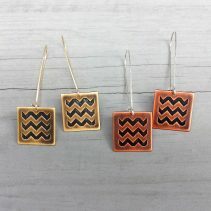 Please contact me for details.